It has been reported by Apple that 63% of all iOS devices in use today run on iOS8. This is according to data measured on the 8th of December 2014, which has also shown that there is a 3% rise in adoption rate since last measurements on the 24th of November 2014. Interestingly, this adoption rate is slower than other iOS versions have been, but it is finally gaining momentum. iOS7 is still installed on 33% of devices. Just 4% of all devices still run on iOS 6. When iOS7 was released, 74% of devices had it installed by the same date last year. It is believed that this is due to the fact that iOS8 needs at least 2GB of available space on the device, which not everybody has. This slowed uptake down, but that has now been resolved by releasing iOS 8.1.2 and by allowing people to update via iTunes, which means the device does not need any available storage space. The adoption rate is worked out by looking only at devices that are able to run on iOS8. This means that it does not take into consideration the iPhone 3G, for instance. However, I honestly believe that this is quite a large number from all the pints of view, especially when it comes down to considering that many people haven’t updated their device, so they do not have access to iOS 8, but also that the software runs quite slow on devices like the iPhone 4S. Chances are that the number of people who regularly update their iPhones, iPods and iPads may be a lot bigger than what may have been expected at first. 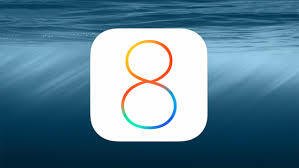 What do you think about the large number of devices running iOS 8? Was it Apple’s best software update so far?